The 12th edition of Cricket's greatest spectacle- the 2019 ICC Cricket World Cup is all set to kick-off on May 30th with the hosts England taking on South Africa at the Oval in London. Ten teams will be vying for the game's coveted title across eleven venues with the grand-finale which is slated for July 14th will be held at 'the home of Cricket' Lord's. The ten participating nations are Australia, England, South Africa, West Indies, Bangladesh, Sri Lanka, New Zealand, Afganistan, India, and Pakistan. In the round-robin format, all ten teams will play each other once with the top four teams qualifying for the semi-finals. 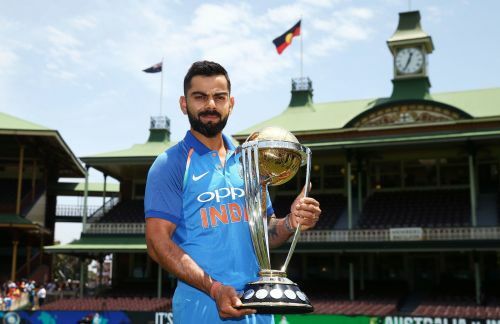 Australia will begin its title defense against Afghanistan at Bristol on June 1st, while the 2011 champion India will encounter South Africa in its opening fixture at Southampton on June 5th. Let us take a look at one player from each team who might be the highest run-getter at the 2019 ICC Cricket World Cup. The defending champions, Australia had a forgettable outing especially in the ODIs last year managing just two wins out of the 13 matches they played. David Warner and Steven Smith's one year ban (due to their alleged involvement in the 'Sandpaper gate' ball tampering scandal) affected the morale of the team heavily as they suffered a 5-0 whitewash against England in June 2018. With the ban coming to an end, they will be eligible to resume playing for the Men in Yellow. Meanwhile, Warner who turned out for St. Lucia stars in the Caribbean Premier League made good contributions for his side. Recently, he amassed back-to-back half-centuries in the Bangladesh Premier League for Sylhet Sixers (63 and 61*) before suffering an elbow injury that ruled him out. The southpaw looked in a good nick smashing 61 off just 36 balls. He is likely to return to return in 3-4 weeks and a short stint at the IPL might help him to get into the groove before the World Cup. 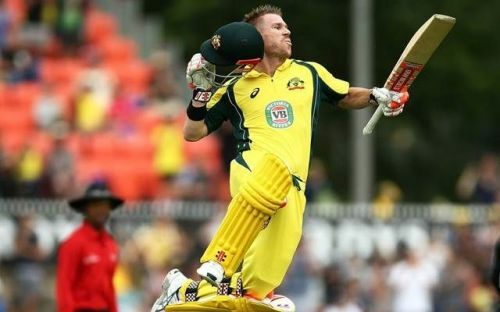 Warner, who finished 2017 as the highest run-getter in the ODIs for Australia with 691 runs in 13 matches will be crucial to the five-time champion's fortunes at the 2019 World Cup.